Get six to eight of your friends together and join us for a demonstration of how a silver ring is made in a traditional workshop by goldsmith and silversmith Rachel Jeffrey. 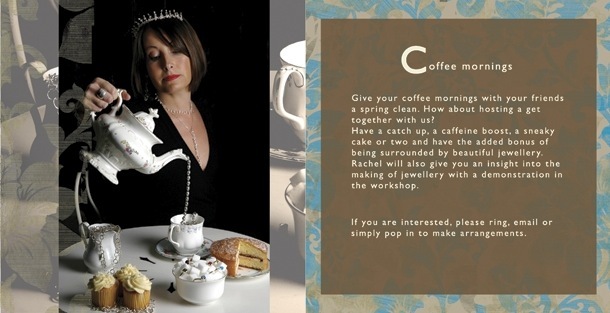 Coffee and cake is supplied in the shop with an opportunity to browse and try on jewellery in an “exclusive” environment. Coffee mornings must be booked and usually take place from 9.30am until 11.30am, however we do try to accommodate other times. We do not currently charge for this unique opportunity, but there is always a collection pot for Grove House. To arrange this please contact us at the shop on 01582 833800.